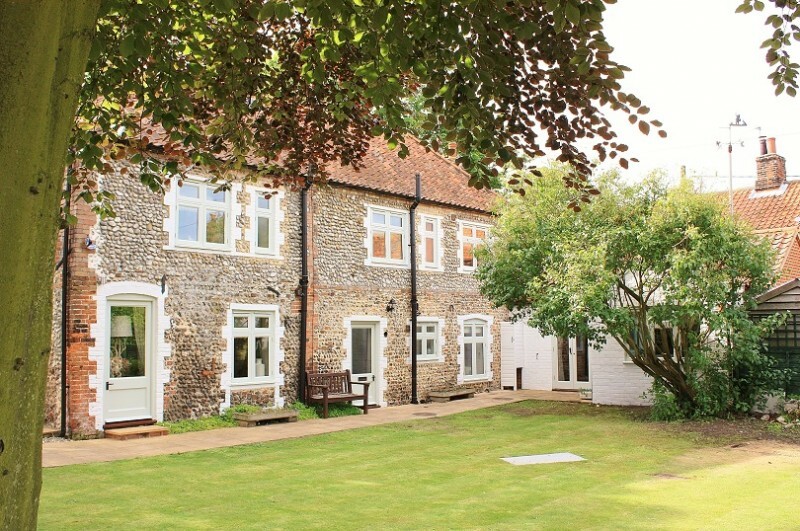 A wonderful location right on the North Norfolk coast. 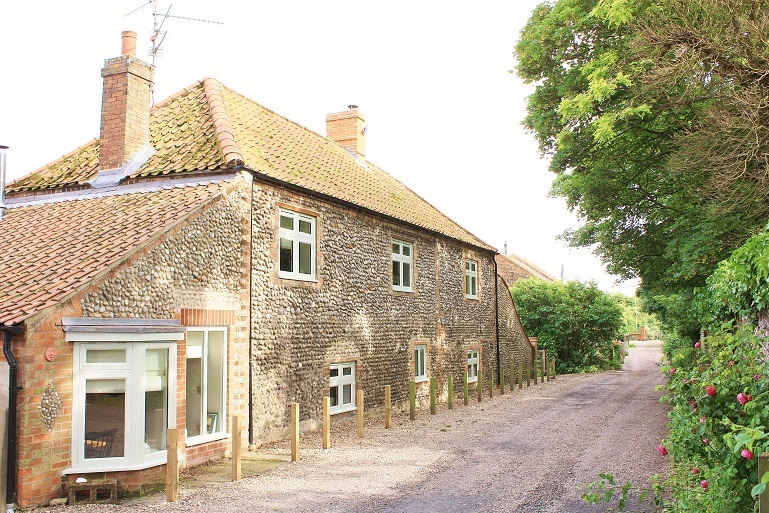 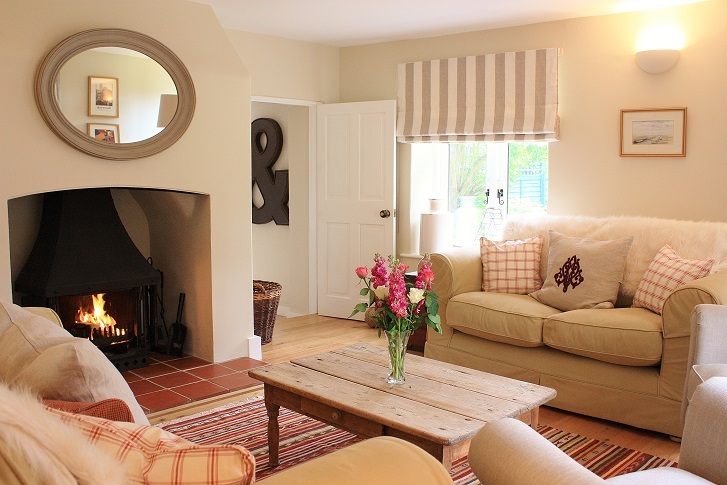 We are thrilled to be able to offer all our guests the chance to stay at the wonderful Joshua Cottage which we believe is up there with the finest detached holiday cottages in Norfolk! 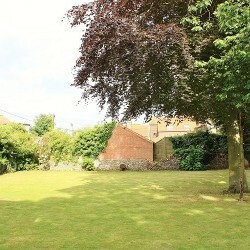 situated in the middle of Morston. 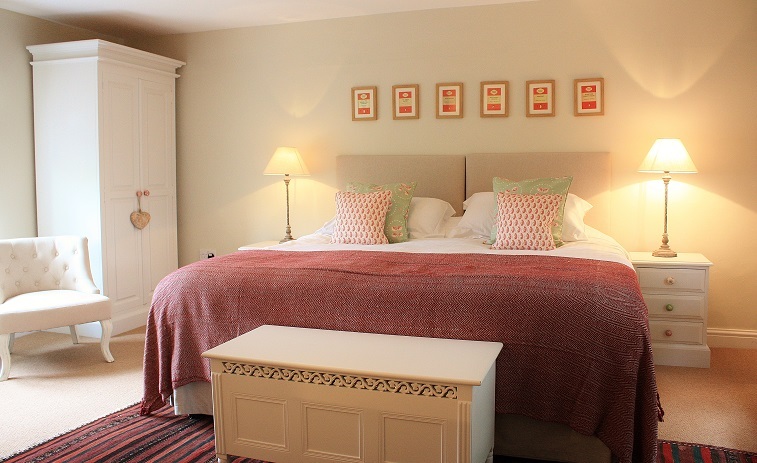 It is just a short walk from the Quay and both the award winning Anchor Pub and Michelin starred Morston Hall Hotel and restaurant. 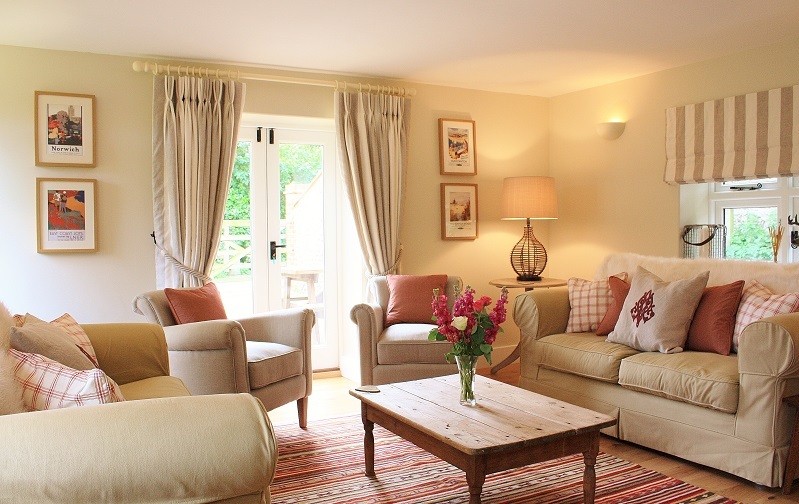 The large cottage has recently been completely renovated by the charming owners and the finished effect is amazingly effective giving the cottage a really ‘happy’ feel. 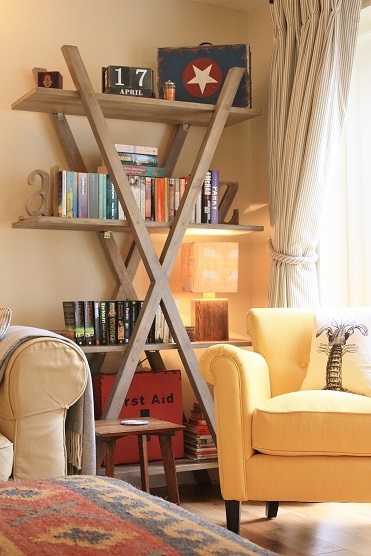 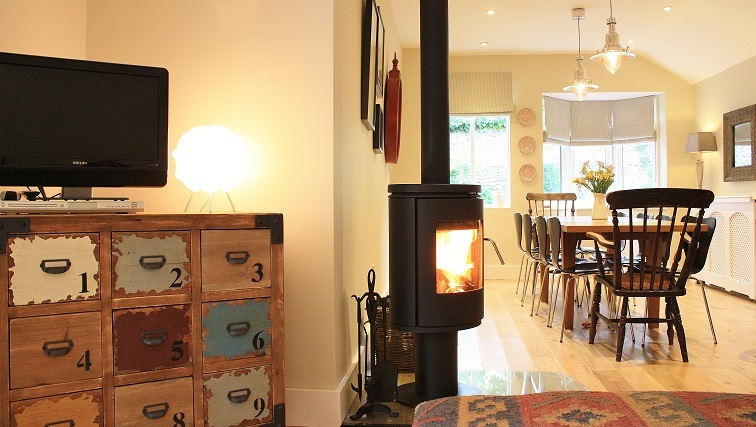 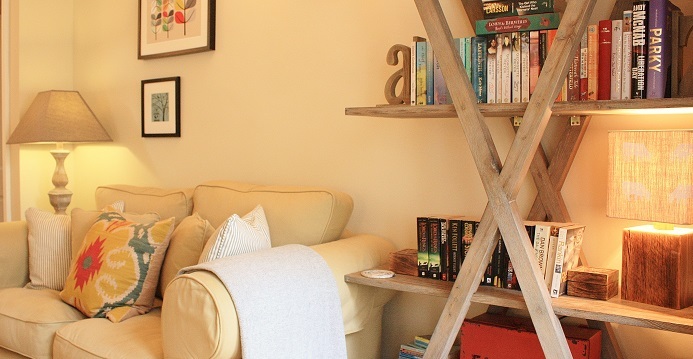 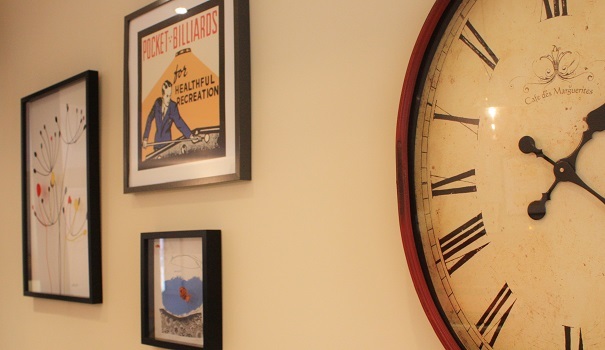 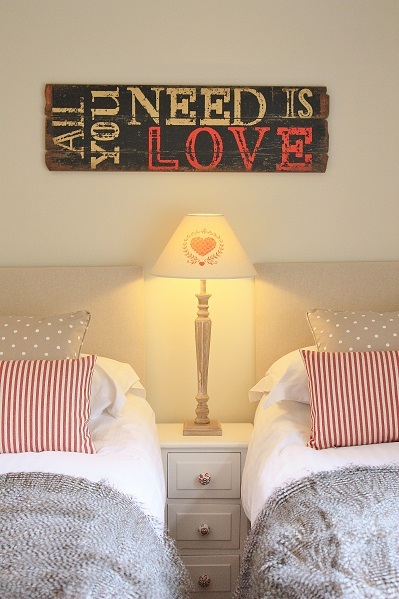 The talented interior designer employed by the owners to create their own ideal coastal retreat, has made the most of the quirky cottage making it equally suitable for couples spending time away together and families enjoying their seasonal holidays. 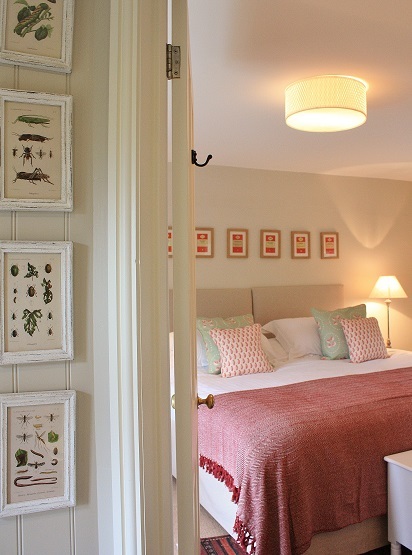 With its good sized walled garden and parking for three cars, we are certain Joshua cottage is going to be extremely popular and advise early bookings to secure a stay there. 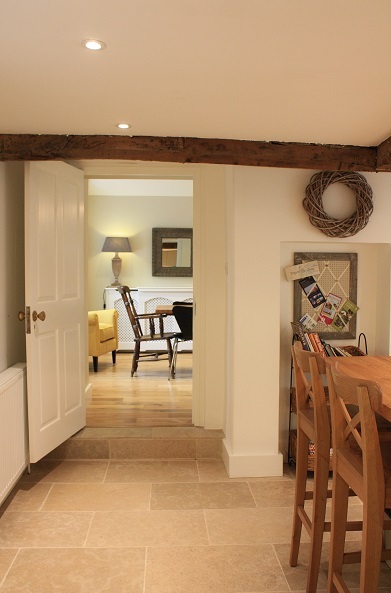 The main cottage door opens into a limestone clad entrance hall with doors leading to the sitting room, kitchen and utility room with stairs up to the first floor. 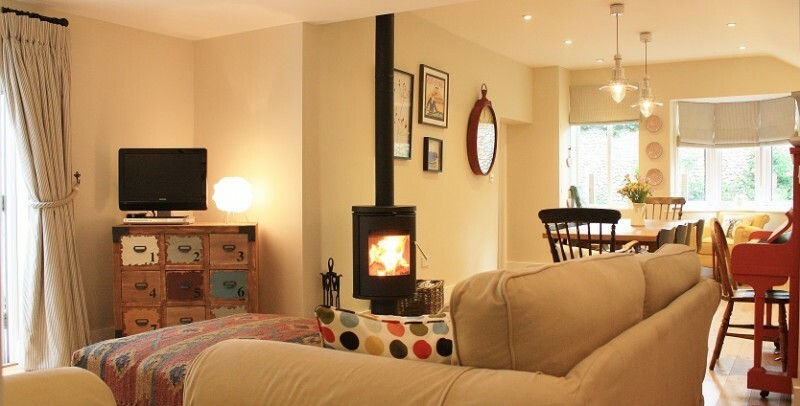 To the left is the cosy sitting room beautifully furnished with comfy sofas and armchairs clustered around the wood burning stove. 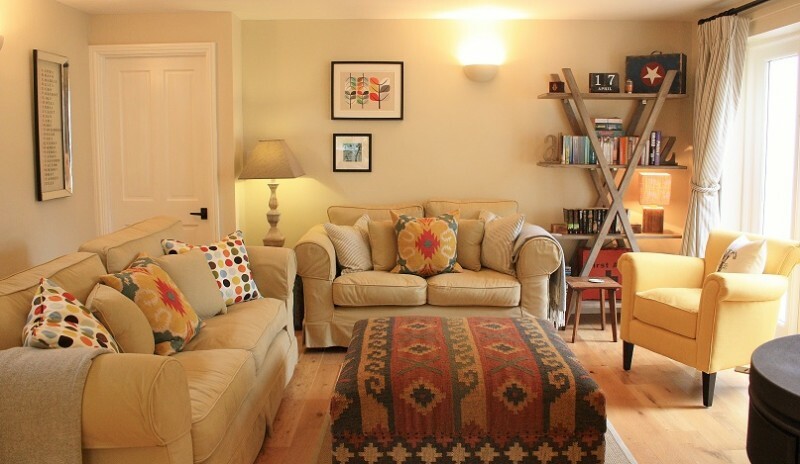 With its wooden floor and tasteful accessories, this room has a calm and relaxing ambience for both intimate get- togethers and the Sky TV and DVD and are great for entertaining evenings at home. 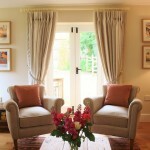 French doors open onto the terrace. 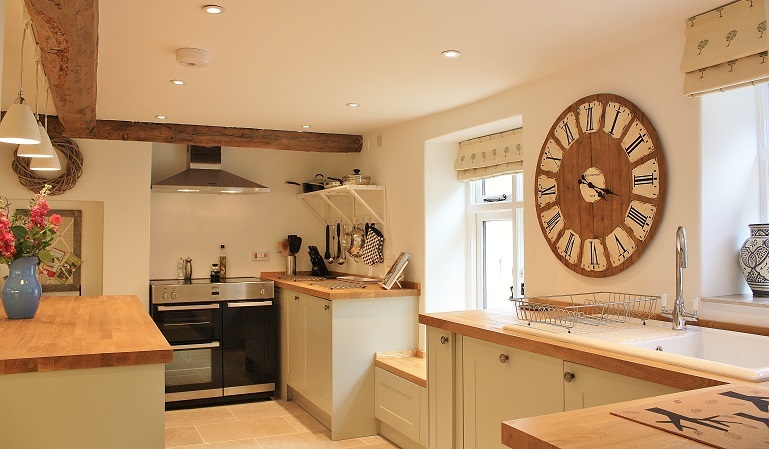 The kitchen is beautifully appointed with painted units under wooden work surfaces and contains a large range style cooker, dishwasher, two under unit refrigerators and one under unit freezer along with the usual microwave, toaster, kettle etc. 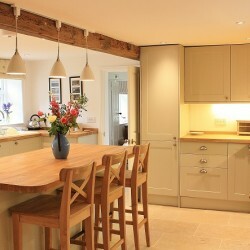 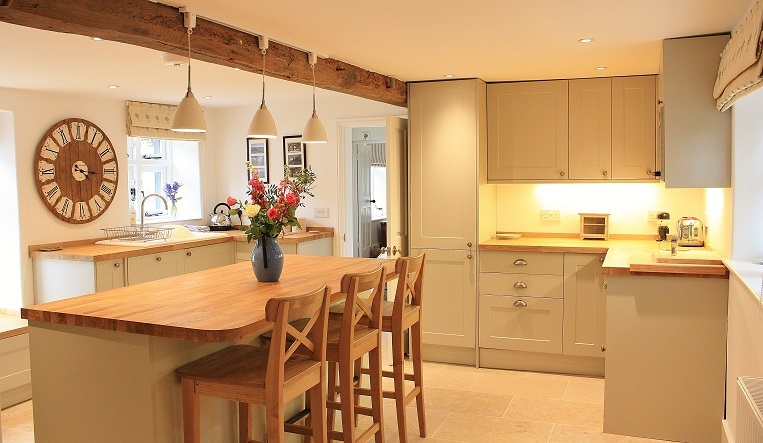 There is a large matching island unit in the middle and plenty of space for cooking for a party. 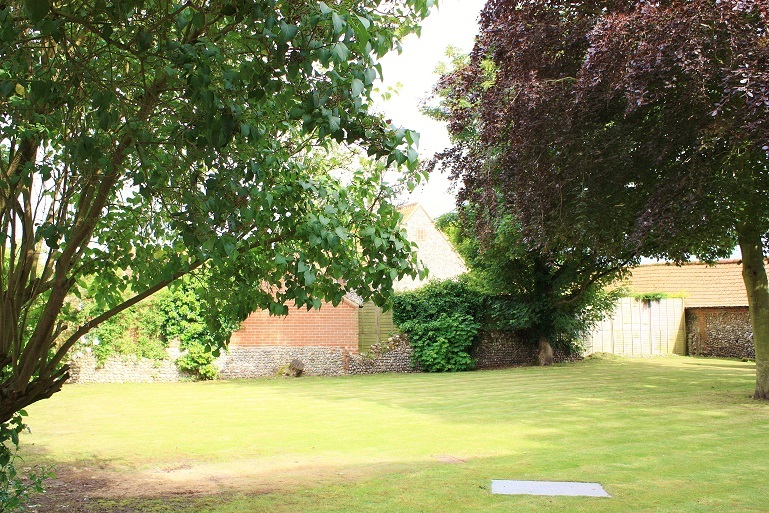 There is a useful separate utility room/downstairs cloakroom containing a wc and washbasin, washing machine and tumble drier. 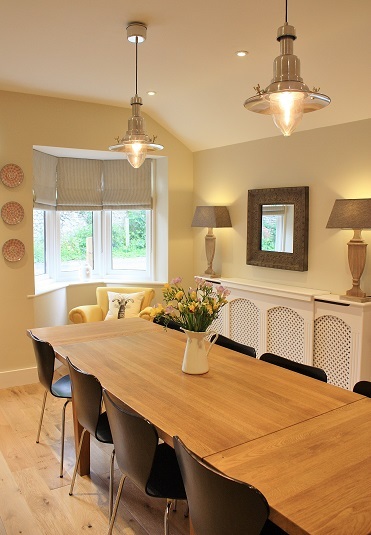 A step from the kitchen leads up to the large dining/ family room, with a long table seating ten. 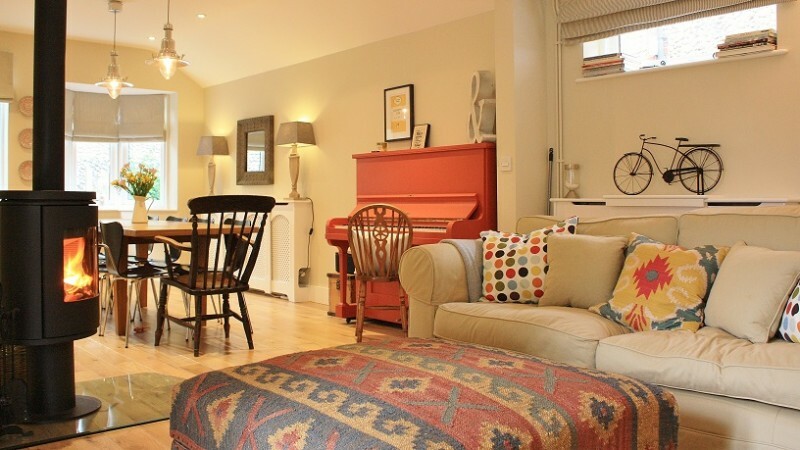 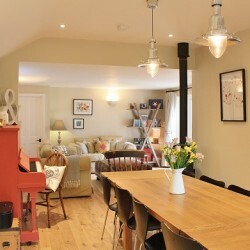 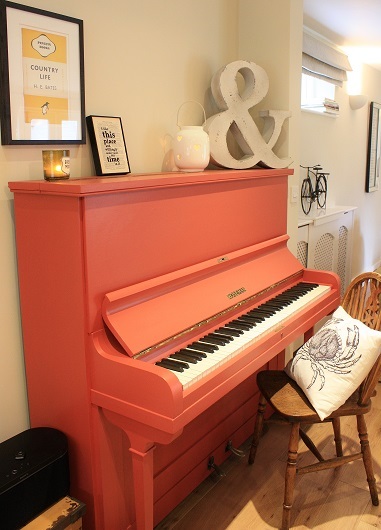 This room also has a free standing log burner between the dining and sitting areas and with its squashy sofas, large Ottoman and funky red upright piano is and ideal spot for family games or allowing the children to watch the Sky TV or DVD in peace. 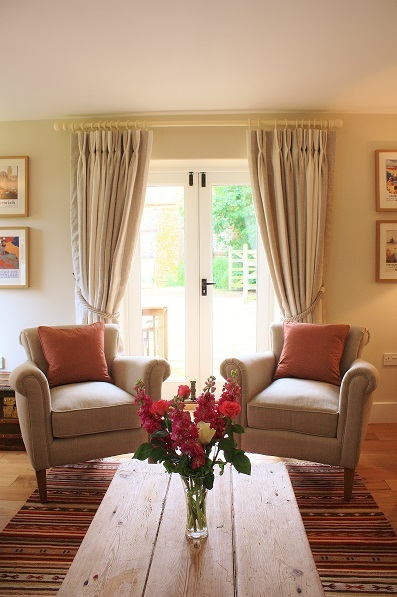 French doors open onto the garden. 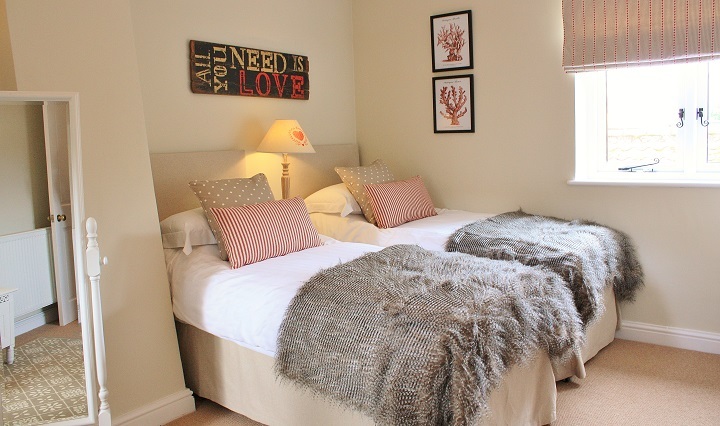 Also on the ground floor is a separate bedroom suite. 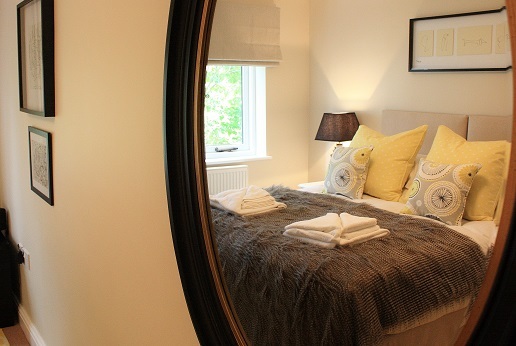 The bedroom has a king size zip and link bed which can be made up as twin beds on request and its own shower room with wc and washbasin and walk in shower. 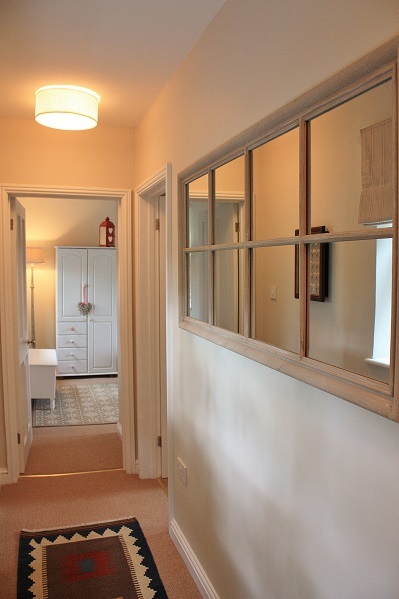 The cottage stairs with rope banister lead to the other three bedrooms on the first floor. 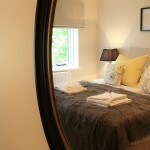 The master bedroom has dual aspect windows making it very light and bright. 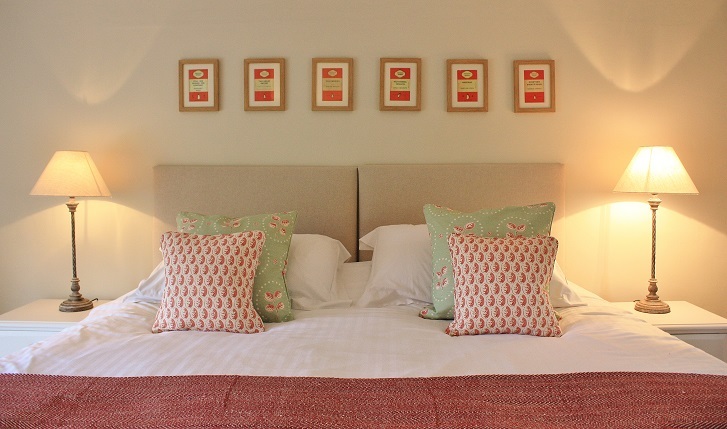 The super king bed is zip and linked and can be made into twin beds on request (please give at least 2 weeks notice). 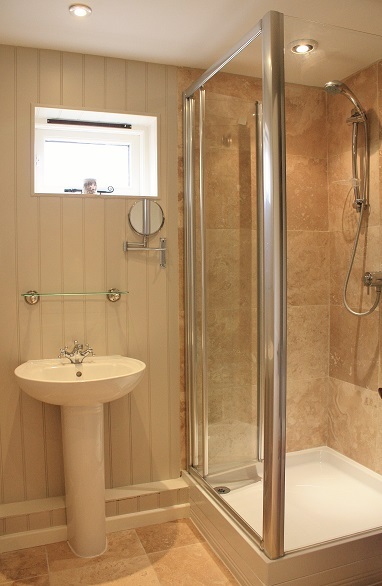 En suite is a bathroom with bath and shower above, and a wc and wash basin. 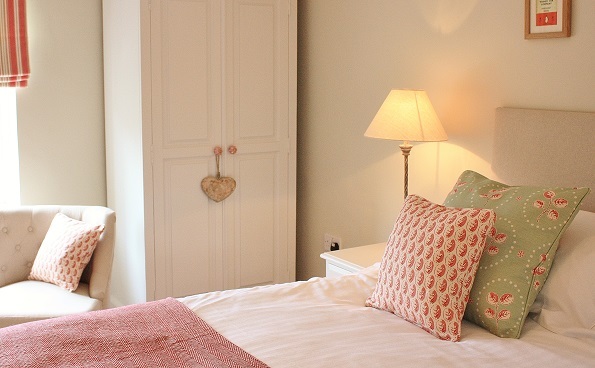 The second double bedroom is also zip and linked and is made up as a twin bedroom but can be re-configured as a king size double bed on request (again please give us 2 weeks notice). 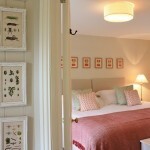 This pretty room also had dual aspect windows and shares a bathroom with the bunk room next door. 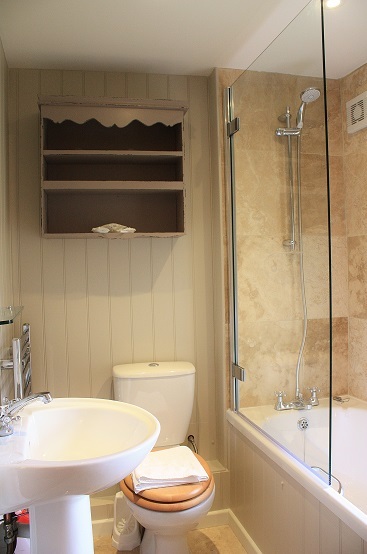 Both rooms are en suite to this bathroom as both bedrooms have separate doors leading into it. 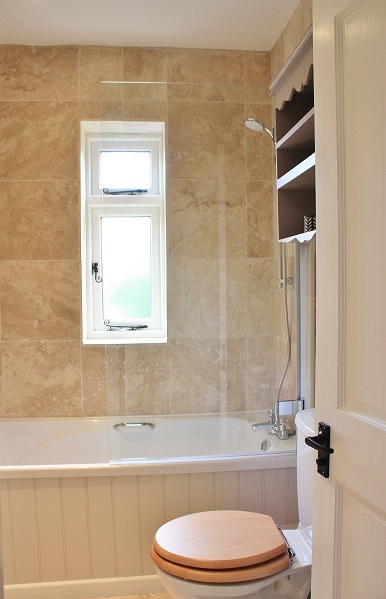 The bathroom has a shower above the bath, wc and wash basin. 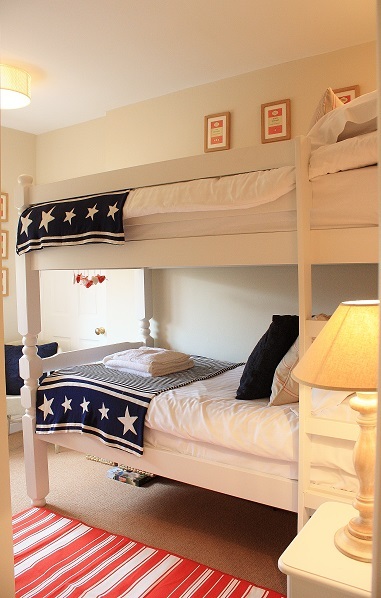 The neighbouring bunk room has sturdy full sized bunk beds and is accessorised in jolly, nautical colours. 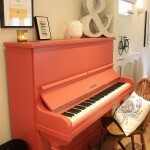 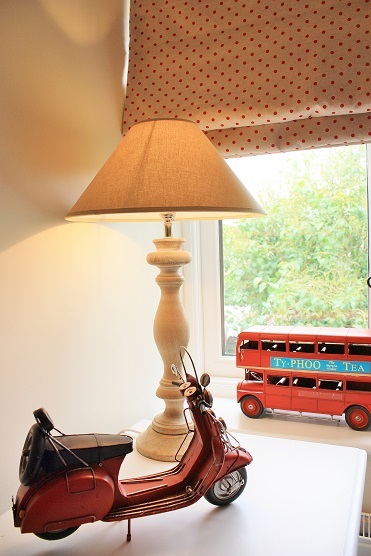 Supremely stylish and yet practical décor. 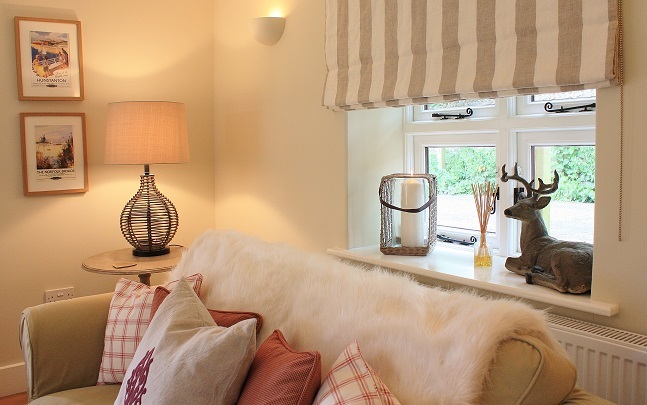 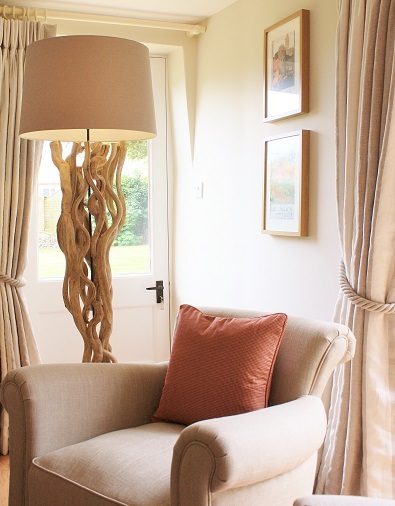 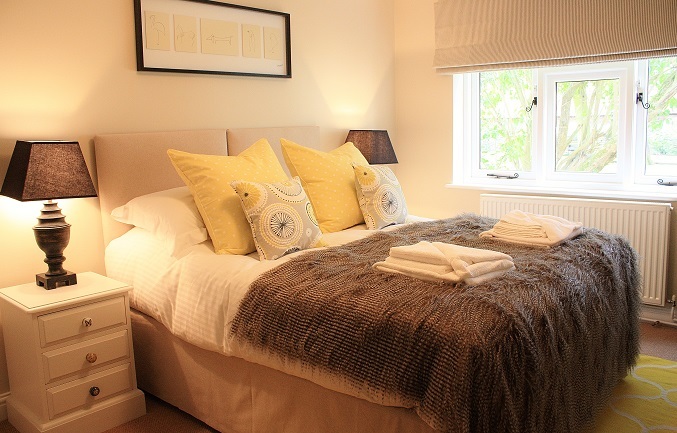 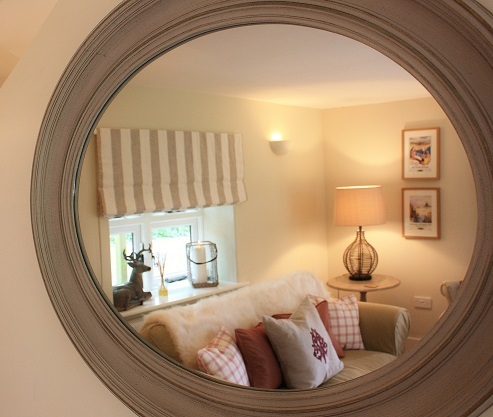 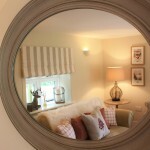 As with the rest of the house, the rooms all have individual identities with lovely fabrics and accessories having been chosen to complement the cottage. 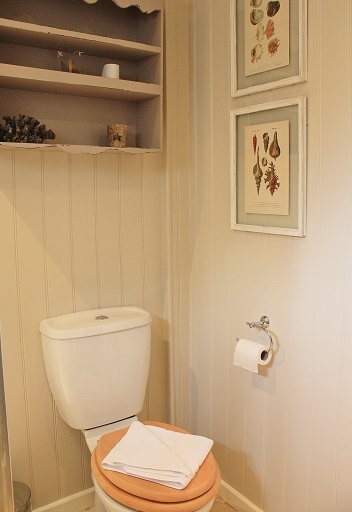 The new bathrooms have a combination of limestone tiling and tongue and groove walls to make them cosy, yet fresh and practicable. 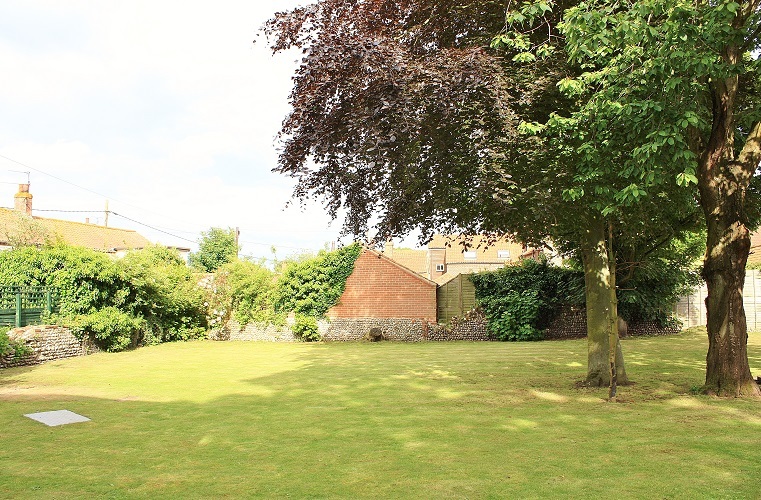 Outside there is a large lawned area, and a sheltered terrace with wooden table, chairs and Barbeque for alfresco dining, plus hard standing for three cars through the five bar gates which lead from the quiet little gravel lane into the garden. 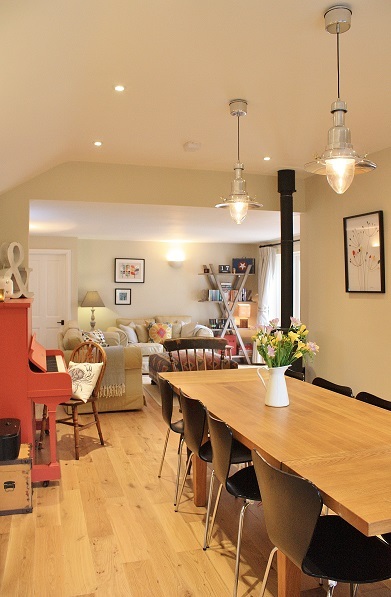 We think this cottage is a (not so) little gem, having space for everyone and yet maintaining a pretty cottage feel .